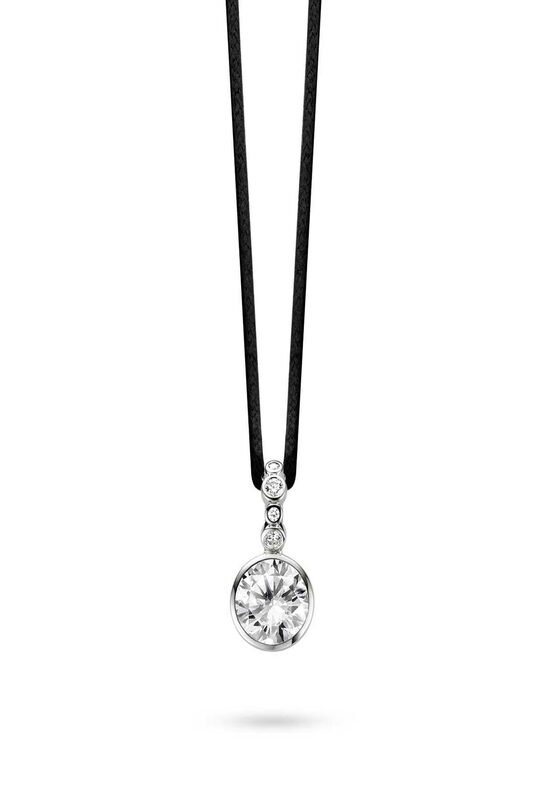 A round single clear stone pendant from Ti Sento Milano range. 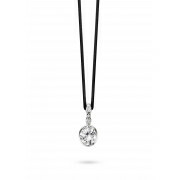 This pendant features a single stone on a sterling silver Ti Sento branded frame. The hook where you feed your chain has been covered in individual clear stone zirconia. This is a striking pendant that you will love to wear.